Over the coming weeks, we’ll continue to profile our Advisory Board members and hear directly from them about why they support incorporation. We previously profiled Marc Ackerman, and this profile is of Lisa Wexler, a 20-year Edgemont resident. Lisa has been an Edgemont School Board member and PTSA President. 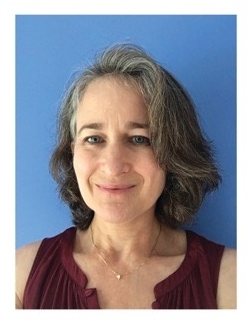 She’s a talented artist who illustrated The Baseball Haggadah: A Festival of Freedom and Springtime in 15 Innings (authored by Edgemont resident Rabbi Sharon Forman)—and she also has a deep background in land use law and planning. With a masters of regional planning from Cornell, a law degree from NYU, and professional experience working with developers, municipalities, and individual property-owners, Lisa is particularly knowledgeable about the land use-related benefits of village governance. We moved here in 1998, settling in Old Edgemont. I met my husband, Stu, at NYU Law School; he is now the General Counsel for Nex Group. My son is 21 and attends Cornell University; my daughter is 19 and attends Yale University. What have been your major Edgemont community involvements? I served on the Edgemont School Board from 2009-2012. In that capacity, I was the liaison to the Edgemont School Foundation, the Edgemont Scholarship Council, and the Edgemont Community Council (ECC). I also served as Edgemont Junior-Senior High School’s PTSA President for both the 2015-16 and 2016-17 school years. In earlier years, I was a member of the ECC as well as the Greenburgh Zoning Update Committee. Multiple reasons. But probably the top are Edgemont’s lack of a voice in Greenburgh government, and a preference for local control. What specific initiatives do you think a Village of Edgemont could and should focus on? I’d love for Edgemont to have a greater sense of place. While there is one in spirit, it could be better reflected in the landscape. Creating a sense of place is more than having a village center. It is consistency of signage and street furniture. It means having walkable areas, bicycle-friendly areas, green spaces, gathering places, a vibrant commercial area, services, and more. There may be limited opportunity for development within the proposed village boundaries, but there are still things that we could accomplish through local governance. We have many brilliant and creative minds that could work together toward this end.